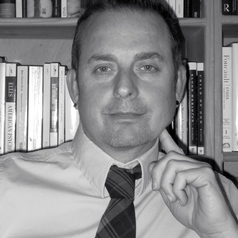 Dr. Billy J. Stratton is an associate professor in the Department of English where he teaches contemporary Native American and American literature, poetics, film studies, and writing. His critical, creative, and editorial work focuses on contemporary American literature and culture and Native literary studies. His work has appeared or is forthcoming in numerous books and journals including Oxford University Press, Arizona Quarterly, The Journal of American Culture, Wicazo-Sa Review, Studies in American Indian Literature, Rhizomes, Salon, and TIME. Stratton's first book, 'Buried in Shades of Night' (2013), addresses Native American experience within the context of the Indian captivity narrative genre, King Philip's War, and colonial American history. His latest projects include a critical assessment of the “fictions” of Stephen Graham Jones, which is now available from the University of New Mexico Press (2016), as well as a work of fiction set in Appalachian coal country--an excerpt from which, "Mending the Centaur," was published in Cream City Review (39:1, 2015), with another forthcoming in the journal, Big Muddy. He has been instrumental in efforts to create dialogue at DU around the issue of the Sand Creek Massacre, and has edited and published several works on that theme. Additionally, he serves at DU as Special Advisor on Native American Partnerships and Programs.